2014 - £399,000 - Bring Offers! 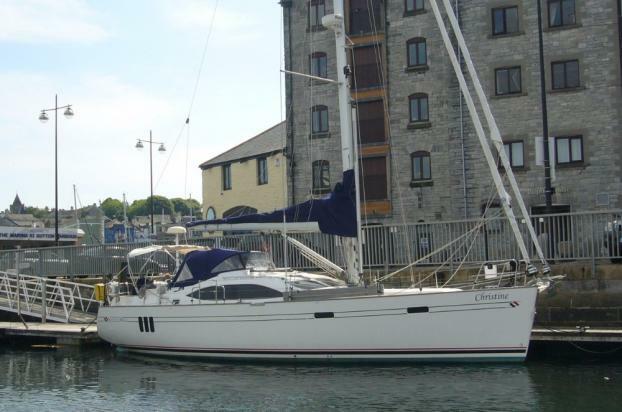 Southerly 42 RST - 2014 - £399,000 (VAT Paid) - Bring Offers! One of the very last Southerly 42 RST's ever produced in 2014 and features the new interior finish only found on the last three 42RST's produced!. The Southerly 42RST combines a fast, modern hull for good performance, with the stability and comfort for blue water cruising. The modern plumb stem increases waterline length and a broad transom maintains volume aft, for performance and interior space. Deck styling and a sociable cockpit layout with twin helm positions, has created one of the most comfortable and easy to sail blue water cruising yachts available. large mainsail with single line reefing, For off wind sailing the gennaker can be flown from a removable bowsprit. shallow draft - perfect for exploring coastlines and inland waterways. yacht is heeled. The mainsheet track is located on the coachroof with lines fed back to both helmsman’s stations, allowing the yacht to be easily managed. anchor or moored, and taking full advantage of the all-round views. Two forward cabins are combined with a large double aft cabin, enjoying a centreline berth and ensuite facilities. Designed by Rob Humphreys, Stephen Jones & Southerly Design Office. conversion which can give an additional two berths. Interior fitted out in American Cherry joinery, with Alcantara seating upholstery. hanging locker and storage cupboards. Midships Cabin to port with two single bunks fitted with lee cloths, fan and hanging locker. Forward heads to starboard with sea toilet, basin and shower. Holding Tank 60L for forward heads gravity drained to sea, c/w level indicator and deck suction point. black flecked Tristone Suaron material. 130L Front opening stainless steel refrigerator. covered in Ultima Faux Leather. HDMI Cable to allow laptop/PC to be connected to TV. Raised Saloon seating to port with room for eight people with excellent outside views. with sea toilet, shower and basin. Double headsail rig option with furling Genoa and furling self-tacking jib. Holding Tank 60L for forward heads gravity drained to sea, c/w level indicator and deck suction point. GRP Hull & Deck with Ivory White gel coat. Hull moulded using Northshore’s patented Nordseal anti-osmosis system with clear gel coat below the waterline. Weaver snap davits and Watt & Sea Hydrogenerator.